I've been a user of Linux for over 2 years now. My first distribution I ever tried was Linux-Mandrake 7.0. I must say, I was impressed. 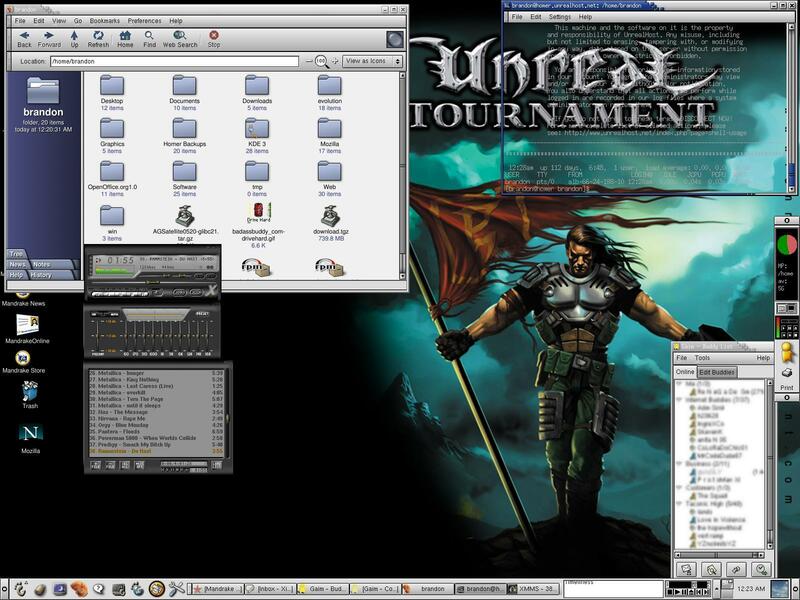 It had one of the most appealing GUI's I have ever seen. Other distributions I have used include every version of RedHat Linux from 7.0 and up. As crisp and clear as RedHat is, I always come back to Mandrake. With the latest release from MandrakeSoft, Mandrake Linux 8.2, I am addicted. I have made it my primary OS on my computer. 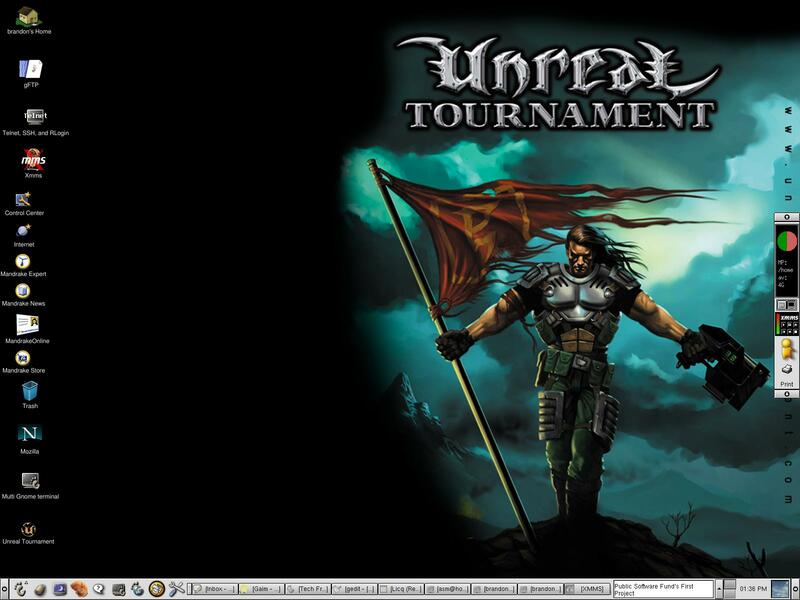 And with the latest release of Wine, I no longer have to reboot to Windows XP to play Unreal Tournament. And I hope to have Counter-Strike working shortly. Hard Drive: 10 GB and 15 GB Western Digital 5400 rpm. One of Mandrake's greatest tools is its 'Mandrake Control Center'. 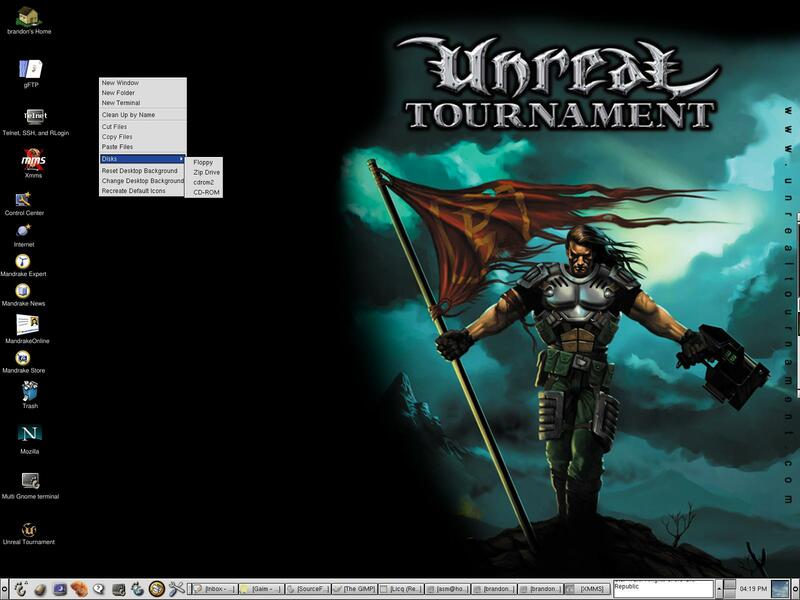 Think of it as a Windows Control Panel for Linux, although it is much easier to use and much better looking. Mandrake also has an attractive startup screen with a statusbar that you see during the bootup process. As if Mozilla isn't enough, MandrakeSoft has included several web browsers in their latest distribution (my favorite being Galeon). Galeon is a fast, attractive, and sleek web browser that is highly configurable and runs off the Mozilla rendering engine (Gecko). It is bar none the best web browser in existance, followed closely by Mozilla 1.0. It comes with a whole slew of email clients, including Mozilla Mail, KMail, and Evolution, among many others. By not supporting the i386 and i486 platforms, MandrakeSoft has been able to optimize their operating system for the Intel 586 instruction set, providing a few performance boosts and optimizations. Since Pentium 2's and K6-2's are both i586's, any computer made in the last 6 years should be able to run Mandrake. 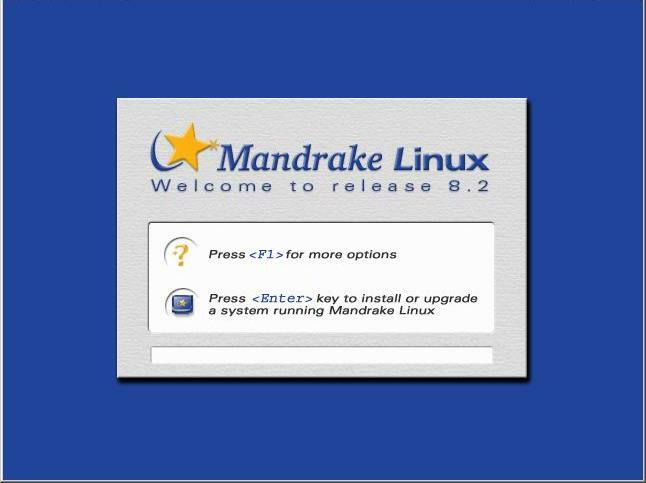 Unlike the 8.0 and 8.1 distributions, Mandrake Linux 8.2 is very stable, and the installer never crashes or locks up. 8.0 and 8.1's installers constantly froze and crashed, but Mandrake Linux 8.2 is very reliable. The only problem I have ever had with it is in detecting my mouse. Somewhere around version 8.1 a bug was introduced that causes it to fail to recognize my ps/2 mouse when X starts, yet if I restart X a couple times it works. This is rarely an issue for me, however, because I very rarely ever reboot my computer. I login and leave it running for months at a time. At the time of this writing, I have over 9 days uptime. There is also a minor bug where with the Mandrake Control Center wizards and the MandrakeOnline wizard, where sometimes after exiting them, the mouse cursor gets locked as a watch, as if it's loading something. Hopefully version 8.3 will resolve the mouse issues that are indeed annoying. Recent versions have mice bugs.